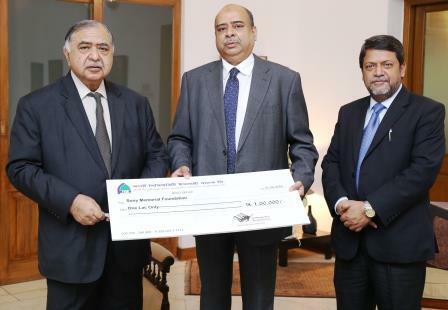 Mr. Syed Waseque Md Ali, Managing Director of First Security Islami Bank Limited handed over a chaque amounting Taka 1,00,000/- (One Lac)only to Dr. Kamal Hossain, President, Sony Memorial Foundation. Among others, Mr. Azam Khan, Head of Marketing & Development Division of FSIBL were also present on the occasion. 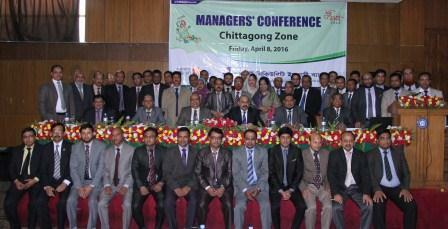 Managers’ Conference Of Dhaka & Barisal Division Of First Security Islami Bank Ltd.
Managers’ Conference Of Chittagong Zone Of First Security Islami Bank Ltd.